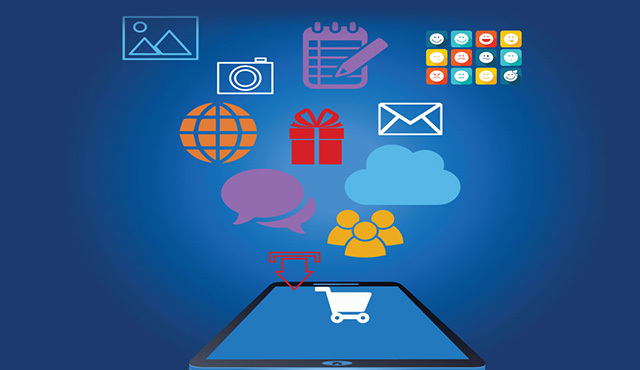 Our client is one of the leaders in global mobile communication with products and services ranging from messaging to enterprise mobility for secure and efficient content purchase from online shop. Our client’s online messaging products are very popular in the communication industry and allows users to chat and share data with speed, control and privacy. In today’s rapidly growing and changing market for virtual goods and services, demand for messaging app with attractive and unique features is increasing. Our client wanted to build an application to manage virtual shop content like Stickers/Apps/Advertisements/gift sharing/Subscriptions etc. for its messaging application. Our client wanted to increase the number of virtual goods available in its online shop for which our client wanted to develop an application to effectively manage existing as well as new content coming from numerous users. Incorporate content management tool which should be lightweight, maintainable, and scalable. Implement content “Targeting” capability based on country/carrier/platform. Integrate backup feature for all chat history. Incorporate an admin panel for organizing and managing the incoming content through front end interface for online shop. For the current engagement, Xoriant implemented content “Targeting” capability based on country, carrier and device platform using REST Service. Improved the UI for swift and easy navigation within the application and online shop, also enhanced the application to support all the devices in both the orientations. Xoriant developed the DAO service for Cassandra that helped in developing the application in a faster and effective way. Used PHP and AJAX to design front end Admin feature for managing the content through UI interface. Developed organizer and administrator features for virtual goods and added Linguistic Translations which allows the subscriber to view the content in their native language. Designed schemas to reduce latency in content read operation and condense the load on the existing network links. 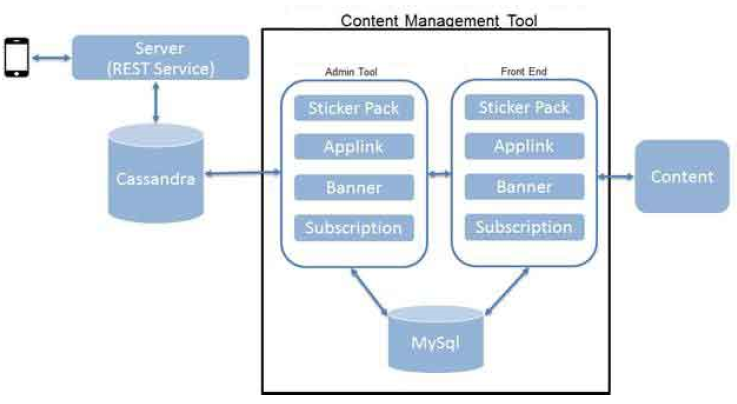 Incorporated new content management features like Sticker bundle, Applink Management, and Banner Management etc. Used Apache Cassandra in cluster environment to provide high availability and partition tolerance. Used REST Service to fetch content of the device and handle concurrent device requests. Improved database robustness by re-architecting Cassandra DB schema. Developed new REST services to cater device requests for online shop, Splatting feature and SKU’s. Developed the data migration script written in Cassandra to update the content in the clustered Cassandra node. Designed and developed the Test-Suite for automating the feature testing. Improved the acceptance of the app through easy-to-use UI and subscription features. Reduced image upload time by 80% by effectively designing image upload to content management server. Improved resource performance by introducing pagination technique for online shop content management. Localized the application by implementing Linguistic Translation feature which allows subscribers to see content in their native language thus improving the reach. Check out how Xoriant developed organizer and administrator features for virtual goods content like Stickers/Apps/Advertisements/gift sharing/Subscriptions etc. and added Linguistic Translations which allows the subscriber to view the content in their native language thus improving the overall reach of the application.